CSFB’s Global Risk Appetite Index hit an all-time low yesterday. This means there was a greater degree of one-day panic than previous one-day panics in August 1982, October 2002, October 1987, and November 2008. Yesterday was in some pretty panicky company and panic is a contrary indicator. China A-shares shrugged off the high inflation print (see yesterday’s post) and rallied throughout the evening. From open low prices in the first 30 min, the China A-share index traded from 2,555 to 2,646 to close “unchanged” on what was supposed to be bad news. We agree with the market reaction because food, energy, and commodity price inflation, ex-gold, is rolling-over and yesterday’s risk-factor. Europe markets have opened calmly with markets flat and making small moves despite the massive puke in the second half of the day in the US after Europe was closed. Italian and Spanish bonds rallied again another 10 bps or so – and Spanish bonds dropped below 5% yields. The slight rise in German 10-YR yields IS NOT evidence of any sort of rapid credit deterioration in Germany. For perspective German 10-YR rates are at 2.24%. Germany is one of the few the countries that can borrow 10-YR money cheaper than the US. Weekly retail sales surveys out each Tuesday morning (Redbook & ICSC) show that consumption isn’t quickly eroding despite the headlines and market action. One survey (ICSC) softened slightly on the week, but the Redbook survey actually showed a pickup up in the retail sales growth rate. We would expect the market to attempt to sell-off at some point this morning and when it can’t crash again, it will rally as investors scramble to buy some very cheap stocks. We apologize for the recent short-term focus on daily market action. We intend to be balanced and longer-term focused for the most part. But when in a crisis, or a panic, it becomes important to avoid major mistakes in the short-term to enable longer-term returns. Given the market action we’ll be a little more short-term focused for a bit. 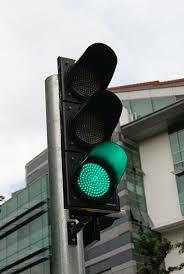 One Response to Green Light for a Rally! Great market call! look forward to more updates to get through a tough market.